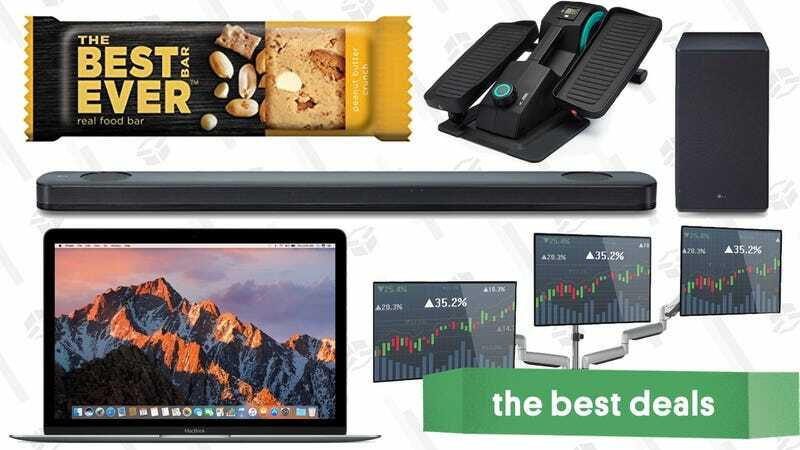 12" MacBooks, a Dolby Atmos sound bar, and a ton of protein bars lead off Friday’s best deals from around the web. LG’s SK9Y sound bar was one of our readers’ favorites, and it’s easy to see why. With just one bar and a wireless subwoofer, you can enjoy get 5.1.2 channel Dolby Atmos audio, thanks to three front-firing speakers, two on the side (to bounce off the walls), and two on top (to bounce off the ceiling for the Atmos effect). Dolby Atmos content has gotten a lot more common over the past year, and there’s every indication that it’s the future of home theater audio. The Apple TV supports it, as does the new $50 Fire TV Stick, so it’s easier than ever to envelop yourself in sound. Today’s $420 deal from MassDrop is nearly $280 less than Amazon’s current price, which itself is the best price they’ve ever offered, so don’t miss out! Apple’s 12" MacBook is one of the thinnest and most travel-friendly laptops out there, and you can get the current 2017 model (in multiple colors) for $900, complete with a 256GB SSD, 8GB of RAM, and a core M3 processor. Again, this computer isn’t exactly a powerhouse, but if you just need a travel-friendly Mac, this is one of the best deals we’ve seen. I have this exact model model as my work computer, and I’m happy with it, especially when I travel. These computers are brand new, not refurbished or open box. The catch is that they were intended as Apple warranty replacements, and Woot can only offer them at these prices by including a 90 day Woot warranty, rather than an Apple warranty. 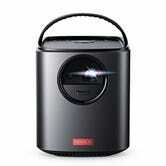 Anker’s Nebula Capsule mini projector gets all the hype, but if its standard definition resolution and 100 lumen brightness won’t cut it for your portable cinema needs, the new Nebula Mars II is $100 off right now with promo code NEBULA10. While it’s not nearly as small as the Capsule, the Mars II puts out a 720p picture of up to 150", is three times as bright as the Capsule at 300 lumens, and can run for four hours on a charge, meaning you could watch a double feature outdoors without having to plug it in. It’s time to get your work station set up exactly how you want it - Amazon’s offering one day deals on a bunch of monitor arms and more from Huanuo. You might not be familiar with the brand, but they’ve been a hit on Amazon lately, and our readers have bought a lot of their monitor arms during recent deals. Today, you can pick from single arms, double arms, and even triple arms, or just get yourself a nice foot rest or some spare HDMI cables. Just note that these prices are only available today, or until sold out. Apple charges $29 for a basic Apple Watch charging cable. Instead, I propose that you spend $20 on this Apple Watch 45 degree stand (with promo code DODO2222), which has the charger built in, and props up your watch at a great angle for alarm clock mode. Put it on your nightstand, and then keep the cable that came with your watch in your luggage. Anker’s premium nylon-wrapped Lighnting cables feel ridiculously nice in the hand, are way more durable than Apple’s first party cable, and come with a lifetime warranty, so what’s not to love? Just use promo code KINJA555 on any color or either size to save. Don’t need the fancy nylon exterior or lifetime warranty? This standard Anker cable is also down to $5 with promo code KINJA722. If there isn’t a convenient power outlet near your desk, you can bring the power to you with this mountable power strip, complete with two AC outlets and two USB ports. The right angle plug means you can easily plug it in behind your desk, and the included screw-in bracket lets you attach it directly to your desk. I bet you could also get away with 3M adhesive strips too, if you didn’t want to drill any holes. Get it for $24 today, or $6 less than usual. Luckily, Mpow’s new headphone carrying case includes a built-in 800mAh battery and microUSB cable, so you can recharge your earbuds while simultaneously keeping them from getting lost or tangled in your bag. Yeah, you’ll still need to recharge the case, but this definitely makes Bluetooth earbuds a simpler option while traveling. At 18W, this Aukey power brick isn’t the most powerful USB-C Power Delivery charger we’ve seen—a 12" MacBook’s charger puts out 29W, for example—but it is certainly the smallest, and one of the cheapest to boot. Just use promo code AUKEY168 at checkout to save. Note: The 6' model can run off USB power, but the 16' one has to be plugged into an outlet. While it doesn’t have the best picture quality out there, it’s tough to complain about a 65" 4K TV for $550, a 55" for $320, or a 49" model for $250. Both include HDR, though with a distinct lack of specs on the page, I’m going to assume that’s not Dolby Vision. And while they doesn’t have apps onboard—pretty typical at this price level—they do have Chromecast built in, so you can stream video easily from your phone, which is very rare at this price. Any time you have to rinse something before or after you chop it, reach for Joseph Joseph’s appropriately named Rinse & Chop Plus cutting board, which incorporates a folding design and a colander to let you easily perform both common kitchen actions, without dirtying an extra dish. It’s rarely discounted from its usual $15, but you can grab it for $12 right now. You can extend the life of your favorite seasonal farmer’s market strawberries or about-to-go-bad herbs by repurposing them into their dried forms with a food dehydrator. It can even make jerky! Using low heat (96 to 160 degrees) to draw out moisture from food, a dehydrator can really save you money by allowing you to DIY your own dried herbs, jerky, mushrooms, fruit rolls, soup mixes, potpourri, and more. This Nesco dehydrator is a top seller on Amazon and has never been cheaper, so get yourself one before this deal dries up. Thanksgiving dinner is just around the corner, and you can be ready for that (and all of your other cooking needs) with a rare 20% discount (in autumnal red, orange, and yellow only) on our readers’ favorite meat thermometer: the Thermapen Mk4. You guys love the Thermapen because it displays the temperature in 2 - 3 seconds, has a 3,000 hour battery life, is waterproof, and is accurate within 0.7°F. This model doesn’t see significant discounts very often, so don’t let this deal overcook. 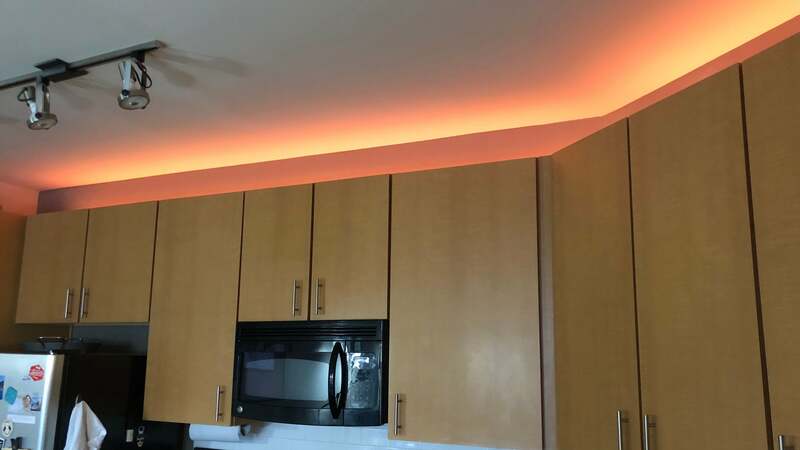 The new $24 kit (with promo code RAN6OCTJ) comes with three foot-long LED light bars, plus three connecting cables, and (new in this model) a motion sensor to turn them on and off. You can either plug the bars into each other to create a longer strip, or use the cables to snake around corners and extend your setup. It’s never a bad idea to have a work light in your tool collection, for when a job just can’t wait until morning. And if it’s waterproof? All the better. This model from Tacklife is only $37 today with promo code TRYRJB3D, and puts out an astonishing 5,000 lumens thanks to an array of 100 LED bulbs. It doesn’t run off a battery like some other models we’ve posted, but it’s far brighter as a result. We haven’t really seen any discounts on the V10 since its release in March, but Amazon’s now offering the entry-level Motorhead configuration for an all-time low $425 (and there are a couple of third party sellers with even lower prices). This model has a smaller bin and fewer accessories than the Animal and Absolute versions, but it uses the same powerful motor. Want more (or just less expensive) Dyson deals? Their sitewide eBay outlet sale is still going strong. 25% off Dyson | eBay | Promo code JUSTDYSON. $75 maximum discount. For a limited time, Dyson’s eBay outlet is taking an extra 25% off any order (maximum $75 discount) with promo code JUSTDYSON, including vacuums, fans, and even hair dryers. They sell a lot of new stuff on eBay, but the best deals are on the refurbs. Either way, they’re sold directly by Dyson; this isn’t a sketchy third party situation. My favorite pick here would be the cordless Dyson V7 Animal (refurbished) for $169 after the discount is applied. If you want a corded upright, the Dyson Cinetic doesn’t require a filter, and is a great option at $250 brand new. Just don’t forget the code! If you’ve had your eye on the absurd-but-somehow-worth-it Dyson hair dryer, $220 (after discount) is the best price we’ve ever seen. Winter is coming, but weighted blankets can work wonders for your anxiety in addition to keeping you warm, and several different models are on sale today for some of the best prices we’ve seen, including a rare discount on a 25 pounder. Just note the promo codes. While it lacks the brand recognition of a Roomba or Anker, this ILIFE A4S vacuum has very good reviews, and is insanely affordable today at $140 after clipping the $40 coupon. Now you’ll have more time to do the dishes and clean the bathroom! With its modular design, free shipping in regular-sized-boxes, and attractive design, Burrow sits on the throne of the direct-to-consumer sofa industry, and you can score a rare deal on the couch (or chair, or ottoman) of your choice during the company’s fall sale. $500 off a $2,500 order. A loveseat paired with an ottoman, or a basic couch by itself will get you over the minimum here. As always, you get to pick your fabric, your leg color, and even the height of your arms, and you also get a 30 day risk free trial, with a simple return process if you don’t like it. It’s that awkward time of year where the weather ping pongs between pleasant and Hoth, but you’ll be prepared to go outside no matter the conditions with this rare REI clearance sale. From now until October 15, you’ll get an extra 25% off anything in the site’s sale section, no code needed. There’s a lot to sort through here, but options include reader-favorite Smartwool and Darn Tough socks, Mountain Hardwear’s Ghost Whisperer coats, and even the recently crowned best raincoat, the Arctery’x Beta, just for starters. Drop your suggestions in the comments below! I can’t say I’ve used Urban Decay’s Naked Ultimate Basics Palette, but I’ve been informed that it’s an essential component to many a makeup collection. Nordstrom Rack has it marked down to just $25 right now, and I know enough to know that’s a really good deal. It’s part of a wider Nordstrom Rack makeup sale, with options available from Too Faced, MAC, Smashbox, and a bunch of other brands that I’m even less familiar with. Have any suggestions? Drop them in the comments! Movado is a classic and iconic watch brand, but with price points ranging comfortably into four figures, it could feel incredibly unattainable for most. But with Nordstrom Rack’s Movado Event, you can score a gorgeous timepiece for half the retail price, with a few styles coming in under $300. Both men’s and women’s styles are marked down, but you’d better hurry because this is only a 24 hour event. Heroclip, the carabiner with a hook on it, hardly ever goes on sale, but our readers can save 20% when they buy two of them today with promo code GIZMODOHC. That rotating hook means you can hang your carabiner off tent poles, tree branches, or anything else, while leaving the actual carabiner free to clip onto your stuff. It’s one of those things you might not immediately see a use for, but will come in handy far more often than you’d expect. Needless to say, they’d also make great holiday gifts for your more adventurous friends and family members. If you don’t have time to go to the gym every day, you can still get in some light cardio at the office with this under-desk elliptical machine. The Cubii Jr. is listed at $186 on Amazon today, the best price ever on a non-refurb, and unlike similar products we’ve posted in the past, this one tracks calories burned, time, stride, and distance. Plus, this lower profile machine is built so you won’t bump your knees on your desk while you pedal. Snow has fallen in parts of the country and ski season is upon us. To celebrate, Woot has a nice little offering of Spyder Outerwear discounted up to 70%. So, if you slept on all of the offseason sales, now’s your chance to grab a new down jacket or extra top layer without paying high season prices. Simply log-in with your Amazon prime account to get the discounted price. If you don’t know about Dallas-based Breda, you need to. The watch brand creates minimalist, easy-to-wear styles of watches that aren’t overworked or over priced. And we’ve got an exclusive discount in time for the holidays: use the code AUTUMN35 and grab your choice of dozens of different watches and colorways for 35% off. Cole Haan is definitely a brand that can make you think twice on account of the price. So when a sale like their Autumn Savings takes place, it’s the perfect time to act. There’s hundreds of men’s and women’s shoes marked down, from oxfords and sneakers to loafers and heels (there’s some accessories in there too), you’ll even find a 2.ZERØGRAND in there. You can save up to 70% on some incredibly well-made shoes that will last for years. The Big Lebowski is getting a couple of 4K 20th anniversary Blu-ray releases next week, and you can preorder and save on both the standard 4K/Blu-ra/Digital box, or the Limited Edition with a bowling ball pencil holder and a bag that will really tie the room together. If you ever use Uber to get around, there’s no reason not to buy a $50 Uber digital gift card for $40 with promo code UBER10. Use the money you saved to tip your driver, please. The Witcher is an amazing video game series, and is even getting its own Netflix series, but if you consider yourself a fan, it’s worth checking out the books that started it all. Blood of Elves is the first Witcher novel (though there were a couple of short story collections before it), and it’s only $3 on Kindle today. Even if you haven’t played the games, it’s a great introduction to the lore, so don’t worry if you don’t know your botchlings from your bilge hags. The Hike, the latest novel from Deadspin’s own Drew Magary, is one of the best, and weirdest, books I’ve read in years, and you can download the Kindle version for $2 today. The ending...it’s so good! While you may mess up a critical plot point of an epic franchise, you can pick up this droid littleBits set and make your own R2 unit the way you want. These sets are basically like if LEGO and K’nex had a baby and added a battery and a kid-friendly coding app. $76 is about as cheap as it’s been since April. Pandemic Legacy is a co-op board game that raises the stakes by adding permanent (actually permanent) changes to the board as you play, and it’s amazing. The second season also happens to be marked down to $35 on Amazon today, which is an all-time low. You don’t need to play the first season before tackling the second, but some of your decisions and outcomes from that game can carry over to season two (likewise season two to season three, when it comes out). LEGO’s popular Ship in a Bottle set is on sale for $14 off right now, the best price we’ve seen. 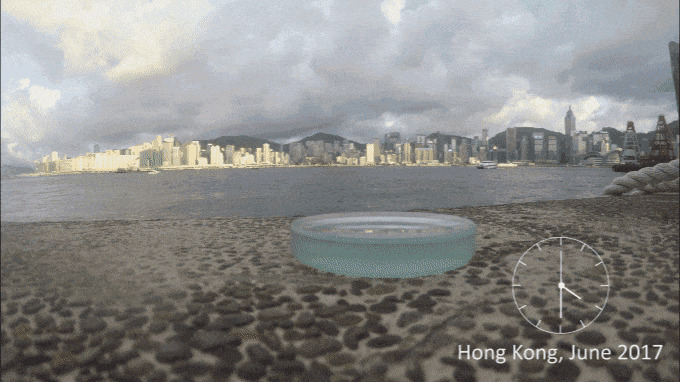 It comes complete with translucent water, six cannons, printed sails, and a “wood” base to hold it. It’s also a lot easier to build than a real ship in a bottle, which may be a pro or a con, depending on your point of view. Red Dead Redemption 2 pulls into station in just a few weeks, and you can take in all the natural splendor by playing it on a PS4 Pro . This console bundle doesn’t have a unique design like the recent Spider-Man console did, which may be a good or bad thing, depending on your preferences. But what it does have is the game, essentially for free with the purchase of the $399 console. Clear some room on your desk, because LIMBO is about to be the most impressive desk toy in your entire office. Limbo looks and feels like a regular spinning top, but a hidden USB-rechargeable motor on the inside uses a small weight and centrifugal force to keep it running for hours at a time. It doesn’t require a special base (though it comes with one for display purposes), and it doesn’t cheat with magnetic levitation. It’s just physics. Start it running when you get to work, go to lunch when it finally topples, and set it spinning again when you get back. Limbo will retail for $99-$249 (depending on the material) when it comes out early next year, but if you preorder on Indiegogo, you can save a ton. Humble Monthly just began a new, and next month’s slate of early access games is one of the best yet. Sign up now to get instant access to Hollow Knight, Hitman Season 1, and 7 Days to Die. It’s just $12 a month to sign up (or less if you pay for multiple months in advance), and every game you download is yours to keep forever, even if you cancel.